The Faith Homes is one of many ministries that God raised up during the outpouring of the Holy Spirit in the early 1900’s. Several of the founders of the Homes first worked under Dr. Alexander Dowie who had a healing ministry in Zion, Illinois, USA. Martha Wing Robinson was among them. She was very sincere in her Christian faith. When news of the Pentecostal move of God spread to Zion, Mrs. Robinson, realizing her great need and desiring a deeper life in Jesus, earnestly sought for the baptism of the Holy Spirit that many were experiencing. She was not one to take lightly the things of God. Mrs. Robinson returned to Detroit and continued to seek the Lord intensely wanting all that God had for her. She understood that *“the very first step toward getting anywhere into the deep things of God is an absolute surrender, consecration, abandonment to God,” and that *“we may pray until doomsday for a perfect work in us but it will never be done until we let go of ourselves - give ourselves over to Him.” God walked her through much soul searching, repentance and surrender and brought her closer to Himself. She received the baptism of the Holy Spirit in December, 1906. The Robinsons, apart from the Dowie Ministry, moved to Toronto, Canada to help with a new ministry there. Very hungry for Jesus and trusting Him for everything, they ministered and the Lord blessed. God led Mrs. Robinson into an intense cry for Him. *“God’s hour had struck to answer her prayer and to come to her ‘in all the fullness’ she had desired. She had ‘prayed through … believed through … obeyed through … loved through.’ Inasmuch as she was ‘all obedience,’ Jesus could reveal Himself to her and fulfill His presence in her very body and reign there as King.” Those around her could see that God had come to her, and they soon were also touched by Him. She later described, *“We felt that we had died and Christ had come to dwell where we had been. We knew only God and were hidden away in God in such a tremendous mystery-the very presence of God came upon us, and we were just bowed before God in that wonderful experience. … It was more wonderful than anything I had ever dreamed of. I would say it was just Himself.” The Lord made her to know it as *"the mystery of the indwelling Christ. We found out it was a taste of something God is going to do in the last days." God led through many lessons and experiences. There were trials and testings. The Robinsons having attempted to resettle in Montreal soon found themselves again in Toronto. They became closely associated with Elder and Mrs. Eugene Brooks who had also been in Zion, and Miss Eva MacPhail. It was in December of 1909 that the Lord revealed that a Faith Home be opened. He led directly to the chosen house and supplied the needed funds. His children had learned to trust Him and follow His ways. Soon the Home was occupied by a nice group of God’s people. They lived and worked together to love and serve Him. They were mindful of scripture such as John 14:21 He that has my commandments and keeps them, he it is that loves me; and he that loves me shall be loved of my Father, and I will love him, and will manifest myself to him. The Brooks as well as the Robinsons kept contact with people in Zion, IL. During a visit to Zion in 1909 the Brooks encouraged Mr. and Mrs. James Leggett and Mr. and Mrs. George Mitchell to return to ministry. In February, 1910 the Lord led Mrs. Brooks to write the Leggetts asking them to secure a house for a Faith Home in Zion. A general location was specified. God led regarding who should live there and wanted it open for people to come and go according to His will. The Brooks were to come and take charge of the home. A house was used on Elisha Avenue but not kept for long as a more suitable one was found on Eshcol Avenue in 1911. Not long after another large home was found on Eshcol and later one on Enoch. The Faith Home Work developed and many people were drawn closer to Jesus. 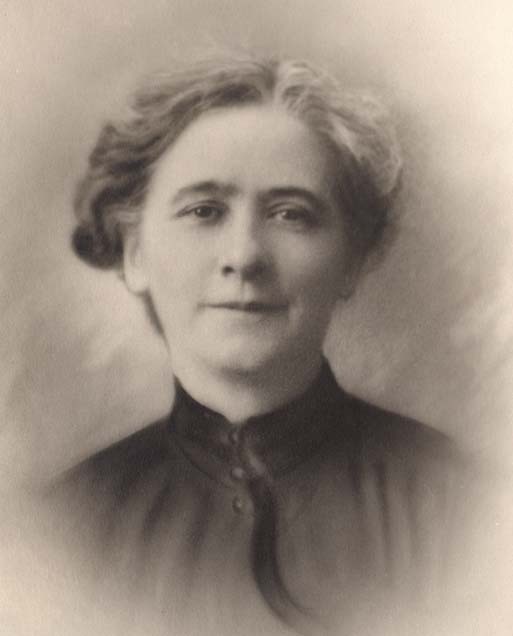 The early ministers were the Robinsons, the Brooks, the Mitchells, and Eva MacPhail Leggett. The ministry was always centered on Jesus, a faith work trusting Him for every need, and promoting godliness in every area of life. The Holy Spirit was welcome and present. Ministering was shared as well as the daily work. All of the ministers were involved in the life of the homes and sought the Lord for His direction and decision in all matters. The Lord Himself was to be the Head. A family atmosphere was maintained but always with emphasis on the presence of God Himself. It was to be His Work. The routine included private devotional time, and regular meetings together with Jesus to worship and love Him, share His Word, prayer, testimony, teaching, exhortation, etc. The Holy Spirit was active and the love of God present among them. God clearly wanted to bless and help people and bring them to know Him. The Faith Home Ministers all lived consecrated lives leading others to walk closely with the Lord. The Faith Home Work carried on and many people were blessed by Jesus. Precious saints came in and out, ministered and were ministered to by the Lord. There was during the early years a direct working of God’s power in the meetings. Many people went out into ministry and mission work from the Faith Homes. Outreach ministries were developed in nearby communities. Young people were very active and well trained to live for Jesus. As years went by and people passed on, the Faith Homes came to a time when something fresh was needed. In 1947 the Lord brought back to the work Rex Andrews who’d been involved earlier, gone out into ministry, went through seven years of personal failure, and experienced a wonderful rescue and restoration by the mercy of God. The Holy Spirit defined mercy to him as: “MERCY is God’s supply system for every need everywhere. Mercy is that kindness, compassion and tenderness which is a passion to suffer with, or participate in another’s ills or evils in order to relieve, heal and restore. It accepts another freely and gladly AS he is and supplies the needed good of life to build up and to bring to peace and keep in peace. It is to take another into one’s heart JUST AS HE IS and cherish and nourish him there. Mercy takes another’s sins and evils and faults as its own, and frees the other by bearing them to God. This is the Glow-of-love. This is the ANOINTING.” Mr. Andrews taught to pray “floods of fulfilling mercies” for others, all others. He brought to light the need to intercede for Israel. The Lord used him to renew the call to just Jesus, to seek Him for Himself alone. A training program continued to prepare people for Christian service and a deep life in God. The Faith Homes has traditionally held special meetings in November (Mrs. Robinson’s birthday) each year in memory of the early ‘Vessels’ who gave their lives to the Work and the many who have followed in like manner. Many friends and associates join in thanking and glorifying our wonderful God for all that He has done and to express together our faith in Him now and for the future. In 2009 a 100 Years of God’s Faithfulness was joyfully celebrated. For many more decades the Faith Homes has continued by God’s grace and loving, lowly Presence. Many people have come and gone out to love and serve Him. A guest ministry for people to have personal retreat with the Lord and the ministry of the homes remains active. The Faith Homes also is a church with a loving committed congregation from the community. There is outreach into the community. There is association with branch churches and fellowship with the churches in Zion. The Homes offers a home base for missionaries. Upon retirement many have settled in Zion and we enjoy their faith, testimonies, and prayer. We are like family in many ways. Intercessory prayer has a dominant place in the Work. Worshipping Jesus and loving in His Name is our joy. We actively await the Lord’s coming. We want to help others to be ready for Him and to serve Him. The Faith Home history continues.